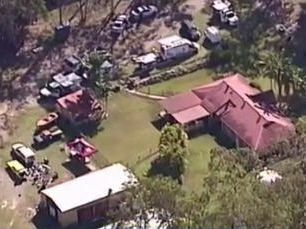 Police have begun an excavation of the backyard at the Thorburn family home at Chambers Flat as they continue their search for more evidence in the murder case of Tiahleigh Palmer. A police spokesperson said the search at the foster child's former home will look for any evidence relating to the crimes for which the Thorburns have been charged. The 12-year-old's school uniform and backpack have never been found but could provide more information about the death of the foster child. Police have also announced that Cindi Palmer, the mother of deceased 12-year-old, will speak to the media later today.